All forms of exclusive suppliers of Place Bonaventure and suppliers recommanded by The National Education Fair which you might need for your participation fair are grouped in this section. For specific questions or special request regarding the services and material offered, please communicate directly with the suppliers concerned. The Exhibitor Procedures Manual is an essential reference tool containing all the technical and logistic topics related to your participation in the Fair. You will surely find many answers to your questions, wheter concerning the delivery of your equipment, procedures of shipment, material handling, storage, etc. The Procedures Manual is provided to all registered exhibitors at the fair. No form is required to receive the exhibitor badges (passes) given to exhibitors and their staff present at their booth during the Fair. A maximum of six badges are provided per standard 10 ft x 10 ft exhibit space. The badges are not personalized; they display the logo of The National Education Fair and the mention "Exhibitor". During the move-in day, exhibitors will be able to obtain their exhibitor badges at the Exhibitor Services Counter located in the West Exhibition Hall (Level 400), adjacent to the Promoter's Office, starting at 9:00 am. During the opening days, exhibitors will be able to obtain their exhibitor badges at the Exhibitor Accreditation Counter located in the hallway (level 200) leading to the West Exhibition Hall (level 400) starting at 7:00 a.m. during the first day and starting at 8:30 a.m. on the second day. NOTE: No delivery will be accepted before the set-up day, that is to say Wednesday, October 16, 2019, from 7 a.m. IMPORTANT: Before sending any material through ConsultExpo, please contact them to make previous arrangements. A set-up day is allocated for the installation of the stands of exhibitors of The National Education Fair, normally the day before the fair opens. During this period, the person responsible for coordinating the logistic and his team will be on hand to assist you and answer your questions. Set-up procedures are sent to exhibitors via e-mail a few weeks before the event. No dismantling will be allowed before the closing time of the last day of the fair. The exit of goods for The National Education Fair starts after the closing of the fair. You or your carrier will have access to the loading dock only when all your material will be brought there. Detailed dismantling procedures will be distributed to exhibitors during the fair and the logistics team will be on hand to assist exhibitors during this operation. Exhibitor must vacate the premises leased and the building of any goods and equipment or other objects belonging to him later that same day before midnight. Failure to observe this rule, the exhibitor must pay all expenses that may be incurred to vacate the premises leased and the building, property or goods of the exhibitor, as well as any storage costs. 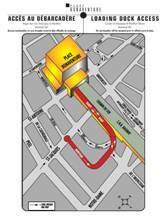 Click on the loading dock access plan of Place Bonaventure for an enlarge and printable version of the map. We strongly recommand exhibitors to see the checklist below to ensure their place at the fair, to make sure of the good course of their preparation and to get the best costs from the suppliers. The important dates to remember are grouped in this checklist. September 27, 2019 To get the discounted price to order a sign installation or banner hanging from the supplier GES - Montreal Division. September 27, 2019 To get the discounted price for ordering goods handling services on the loading dock from the supplier GES - Montreal Division. September 30, 2019 To get the discounted price for ordering additional furniture or accessories from the show decorator GES - Quebec Division. September 30, 2019 To get the discounted price for ordering and electrical outlet from the supplier GES - Montreal Division. October 1, 2019 To get the discounted price for ordering an Internet connection or a telephone line from Les Reseaux Cyr, the exclusive supplier of Place Bonaventure. October 4, 2019 Deadline to register as an exhibitor with the guarantee that your name will be published in the exhibitors' list part of the Show Guide inserted in Le Journal de Montreal. October 4, 2019 To reserve your ad space in the special insert produced in partnership with Le Journal de Montreal, which reaches more than 1,6 million readers. This special insert also serves as the official Show Guide of the Fair and is distributed to visitors. October 16, 2019 Last minute deadline to register as an exhibitor depending on space availability. During the Fair, the delivery to your booth of small boxes or parcels - if it is done manually - is allowed each day 30 minutes before the opening of the doors. For safety issues, no transportation of merchandise is permitted in the exhibit hall during the opening hours of the fair. No exit of material will be permitted throughout the duration of the fair without a specific written authorization from the fair management. Those authorizations are available at the Exhibitor Services Desk located in the exhibit hall west, near the promotor office. 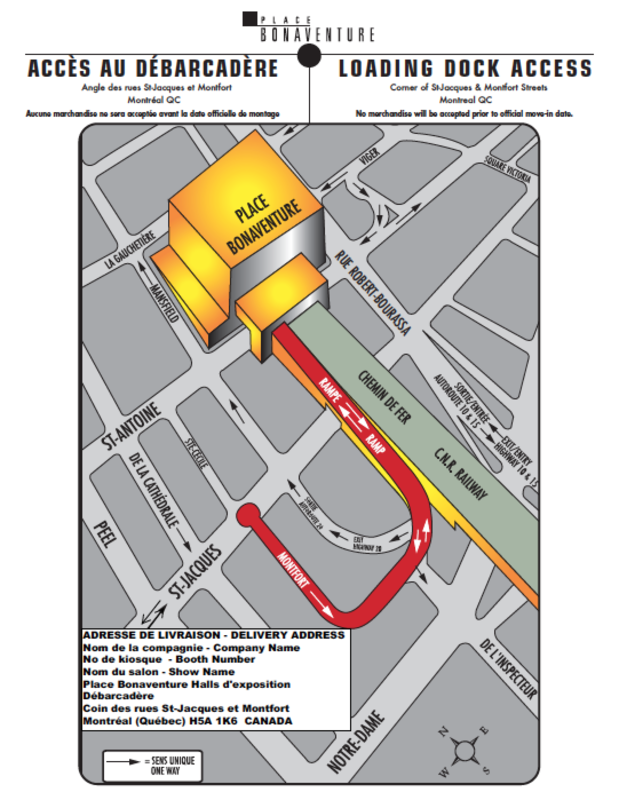 Exhibitors must comply with the rules and regulations of Place Bonaventure, in addition to those specified in the registration form of The National Education Fair. We invite you to read them very carefully to avoid any misunderstanding.